Phase one of CleanCUBE installations have been completed in the city of Baltimore. 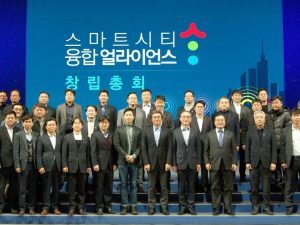 From September to November 171 units were installed. The following month an additional 124 were deployed to end the year with a total fleet of 308. 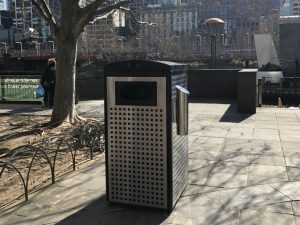 Of these, 56 have been installed in pairs as CleanCUBE double stations which feature a 100L solar-powered compacting bin for general waste and a 100L non-compacting sensor bin for recyclables (when double stations are counted as one unit the total is 280). All of the bins are monitored on CleanCityNetworks, a cloud platform that provides data on waste generation and collection frequency. Analysis of recent numbers shows a dramatic drop of 96.5% in collection frequency from twice a day (with conventional bins) to twice a month for areas covered by CleanCUBEs. For general waste, the average fill level recorded as bins were emptied improved from 37% (Nov) to a more efficient 66% (Jan). The first batch of smartbins were installed in South Baltimore using a $300,000 investment from the Casino Local Development Council. 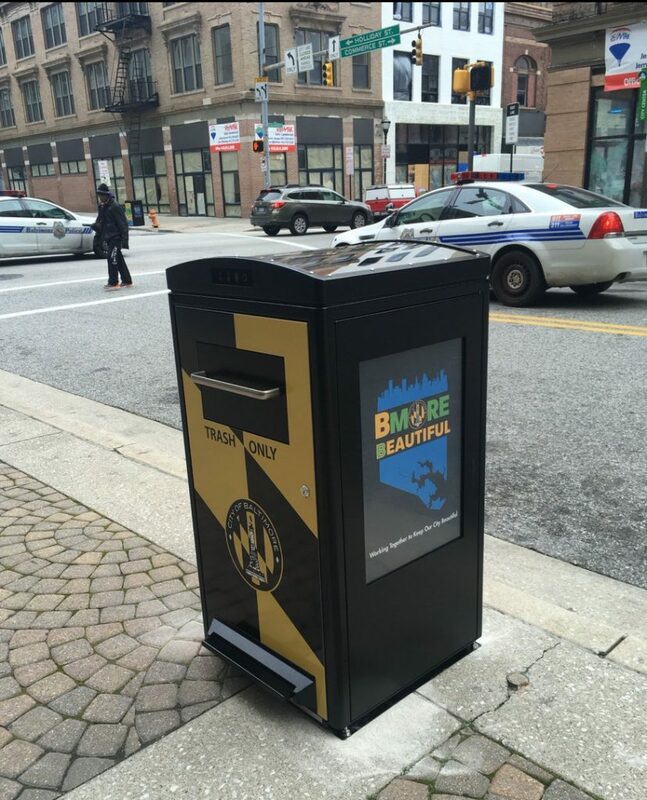 The Maryland Port Administration (MPA) also invested more than $900,000 to install the smart bins around the Port of Baltimore and the central business district. 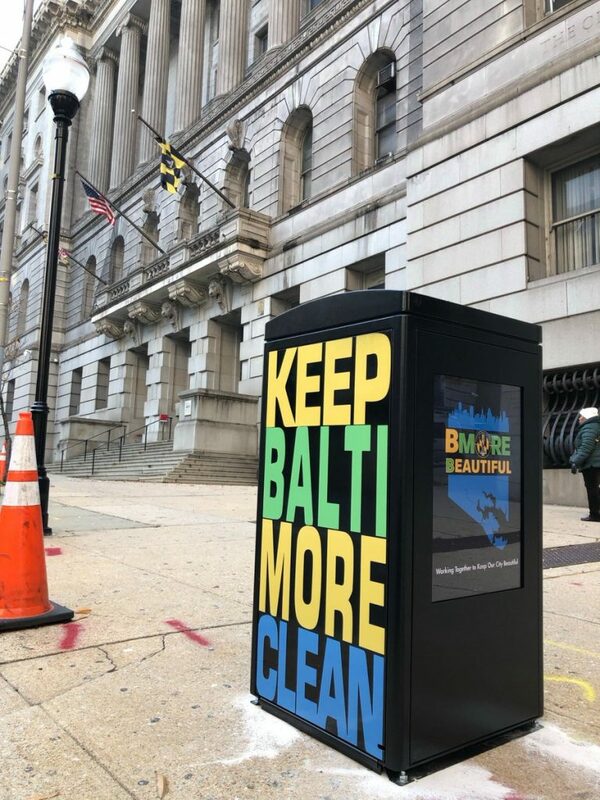 Installing CleanCUBEs is one of the ways Baltimore is using technology to beautify its streets and emerge as a smart city. 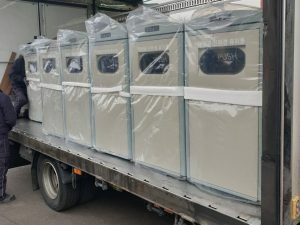 More installations are underway for 2019 in a contract that may deploy up to 4000 units. 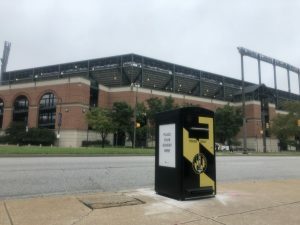 One custom feature unique to Baltimore’s CleanCUBEs is a wireless lock for the hopper (trash opening) that was developed by Ecube Labs so city officials can use it to prevent terrorism ahead of large scale gatherings. 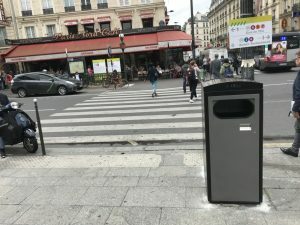 CleanCUBEs are not only making the city cleaner and greener but safer.